The rights of British people in the Netherlands and Dutch nationals in Britain are central to the Brexit negotiations, says David Davis, Britain’s secretary of state for exiting the European Union. Last week Michel Barnier and I sat down for the first time last week, to begin negotiating the United Kingdom’s exit from the European Union. The UK has been clear that our first priority is to provide certainty to EU citizens living in Britain – indeed, we had hoped to be able to do so last autumn – and to UK citizens living in the EU. 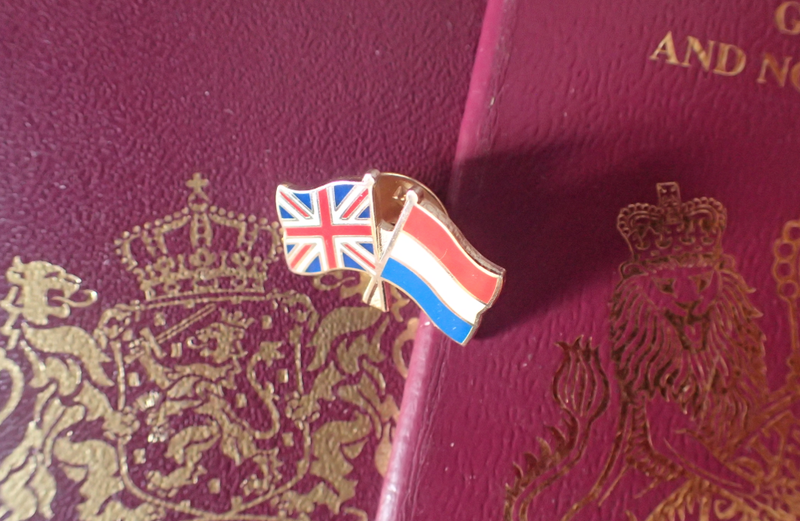 I’m pleased that the EU has agreed this is one of the first issues we will address — and yesterday, the UK published a detailed policy document explaining our offer – Roughly 80,000 of our citizens live in each other’s country, highly integrated into their local community, reflecting the long-standing and close bonds between the UK and the Netherlands. Three million EU citizens have made the UK their home. They have contributed to the very fabric of this country. And they deserve to look at their futures with as much certainty as possible. With Brexit negotiations just starting I will outline the UK’s offer to secure the rights of these people we value so much. And it is only fair we secure an agreement with the EU that protects over a million UK nationals in the EU in a similar, reciprocal way. We want to guarantee the status of EU citizens already living in the UK and enable them to continue to live their lives broadly as now. We will treat EU citizens equally and will not discriminate between nationals of different member states. Our intention is to enable law-abiding EU citizens who have settled in the UK before an agreed date to apply for settled status under British law, along with their families. The UK believes this date should be no earlier than March 29 2017 and no later than when Britain officially leaves the EU. As long as they want to stay living here, they will see no immigration conditions placed on their residency. Why are we doing this? Because it is the right thing to do. We’ll continue to welcome people, whether in the EU or outside the EU, who want to come to Britain, work hard and contribute. It means EU citizens will be able to remain lawfully in the UK during this interim period and bridge any gap for people waiting for their residency documentation to come through. And we intend to introduce a voluntary scheme to enable eligible EU citizens to apply for their residence document before the UK leaves the European Union — reducing uncertainty and making Brexit as smooth and efficient as possible for EU residents here. It is a fair and serious offer that rightly recognises the invaluable contribution EU citizens have made to the UK. Because our children go to school together. Our family and friends travel to each others’ shores to holiday, and work together in our hospitals and public services. And when faced with adversity, we stand together shoulder to shoulder. We hope that this deal will be reciprocated for the 80,000 Britons living in the Netherlands, including 3,000 students at Dutch universities. Because they too have made important contributions here too. That is why we are seeking a reciprocal deal, truly putting people first. Over the past year as I’ve spoken to leaders across Europe it has become clear that securing citizens rights and offering them peace of mind is a priority for both sides. Indeed, when I visited The Hague and met foreign minister Bert Koenders, it was one of the first things we discussed. I recognise that there has been considerable uncertainty for some of you and your family and friends in the UK. This is something I want to correct now. The UK is a tolerant, open, and diverse country. We will continue to be just that. We will make it simple for those Dutch people who have made their lives here to stay. We welcome the contribution you have made to our country. So I’ve no doubt this is achievable. We will continue to welcome your citizens to our shores after Brexit. We’ll continue to buy your goods, sell you ours, and holiday in your beautiful cities and countryside. Brexit is far from the end of our relationship — it is simply a new chapter in it. The histories of the UK and Europe are intrinsically linked, and our futures will be the same. I hope this offer demonstrates the fair way we intend to conduct these negotiations, and the deep and special partnership we now want with the EU.